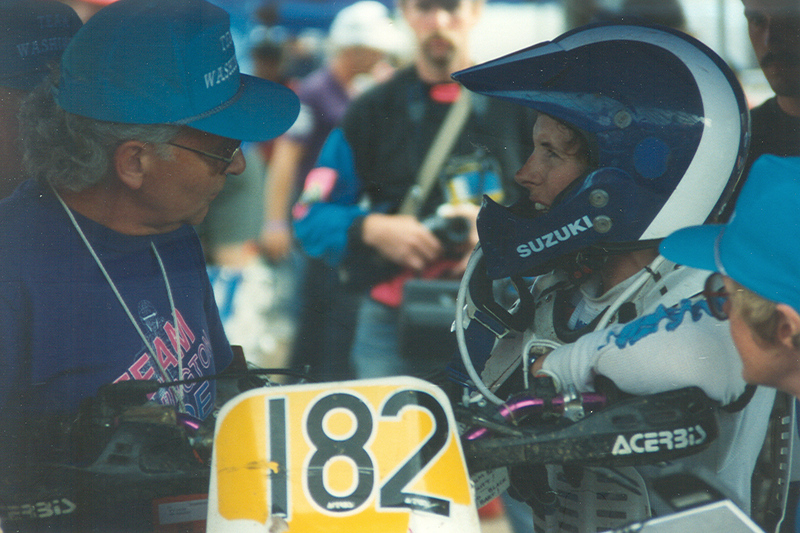 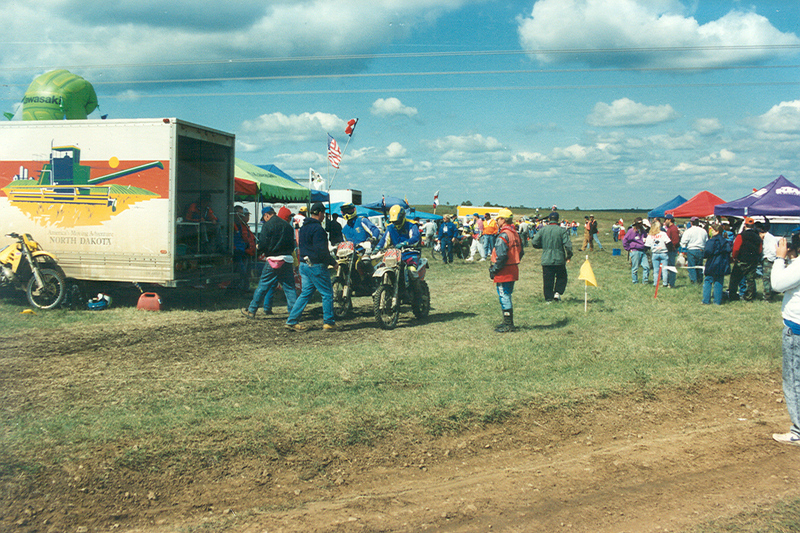 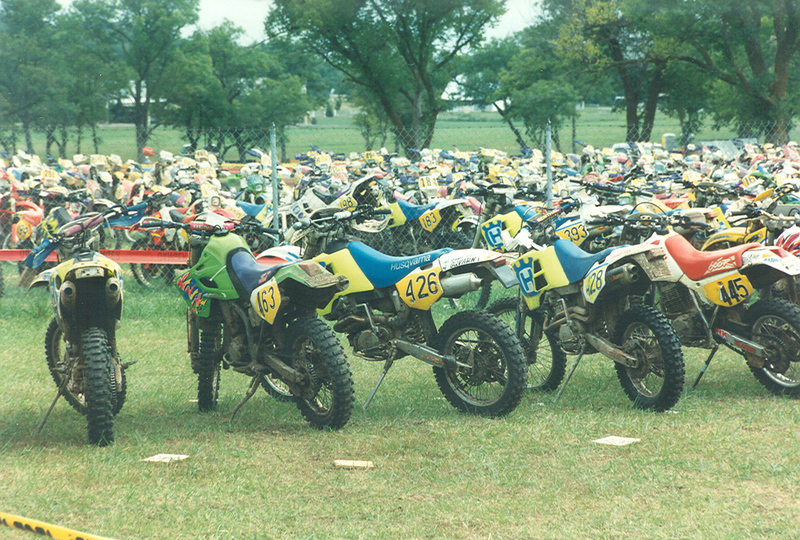 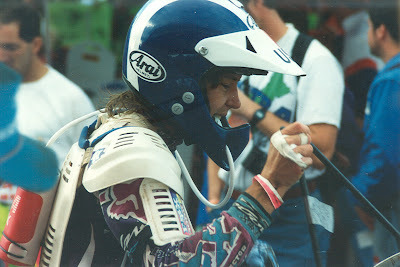 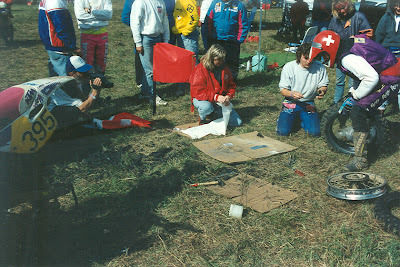 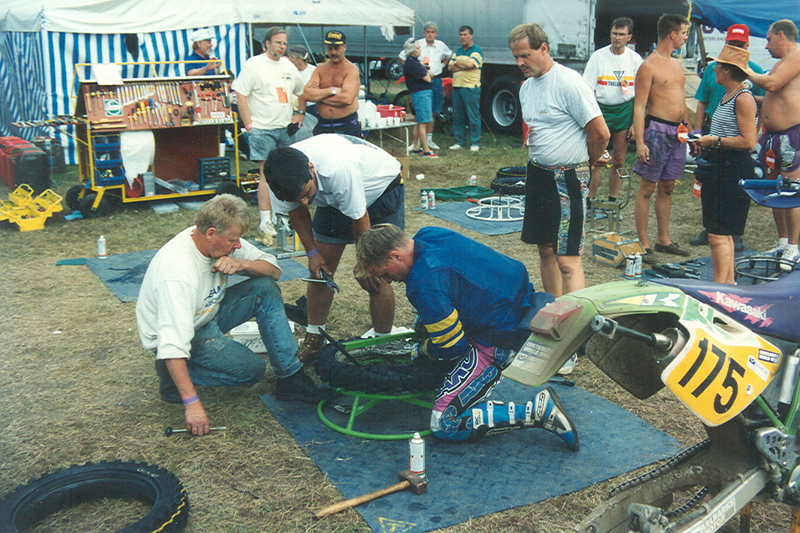 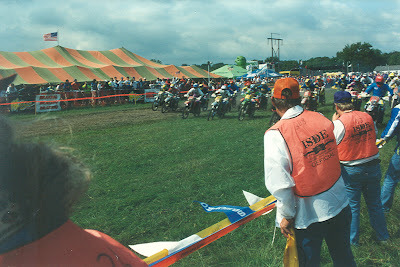 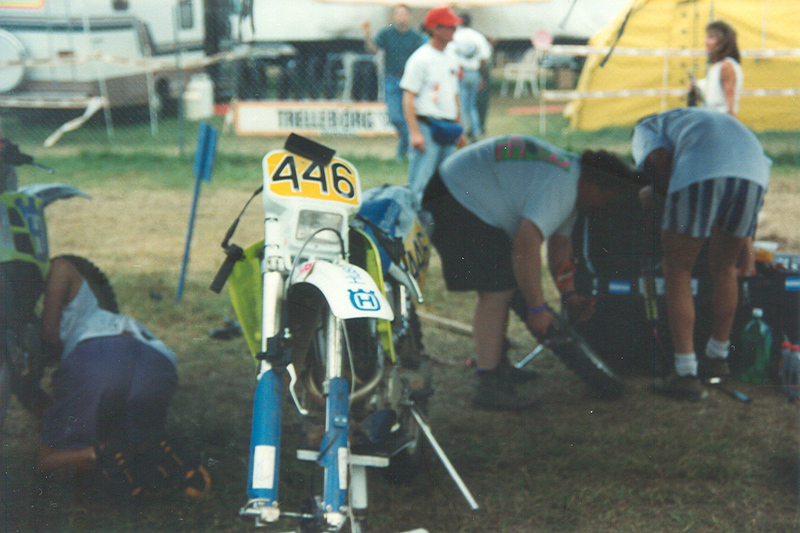 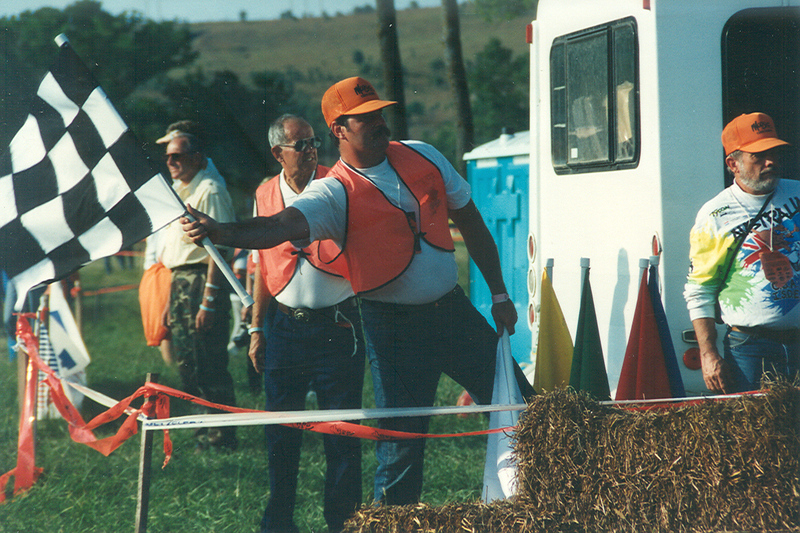 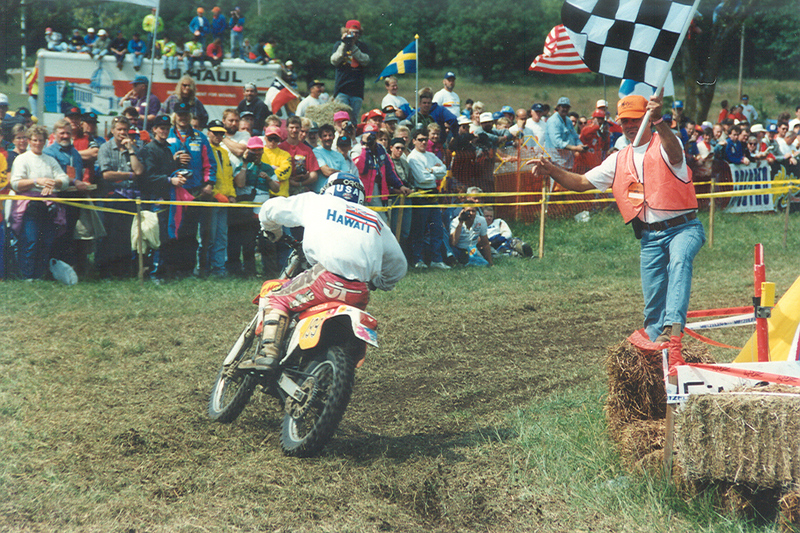 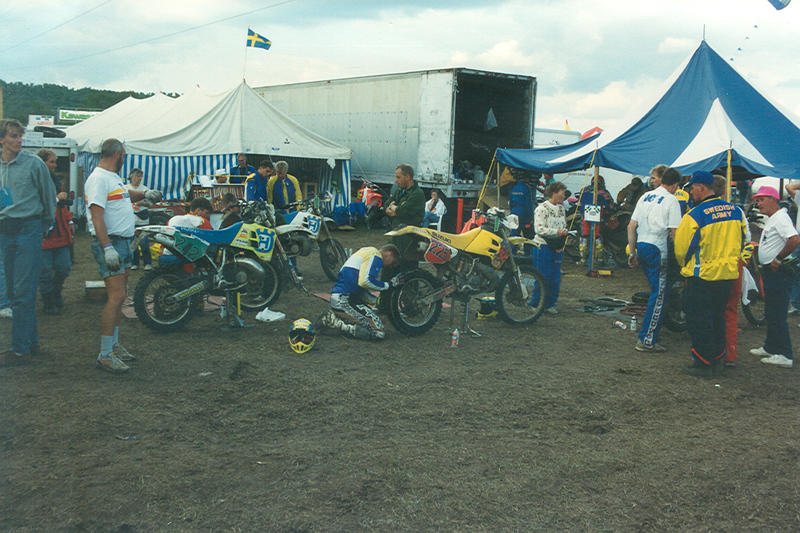 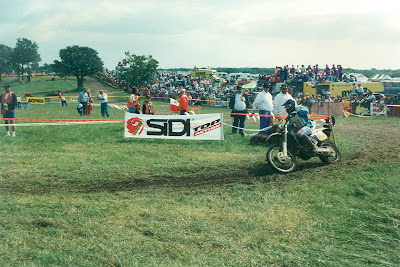 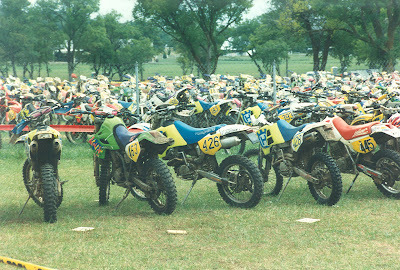 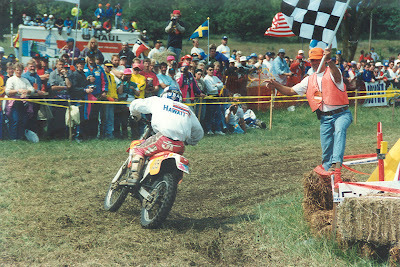 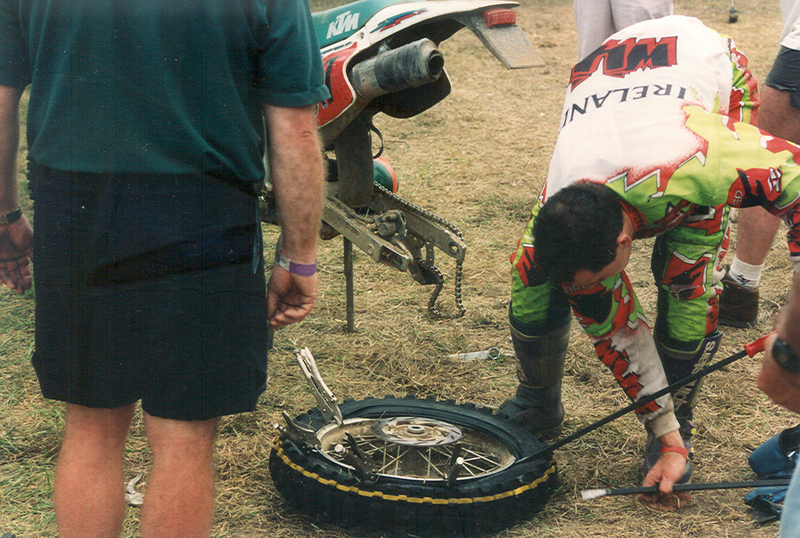 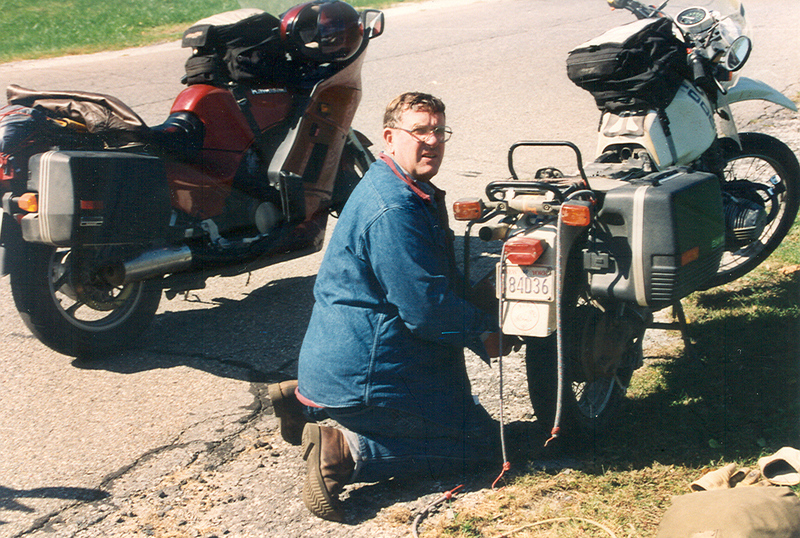 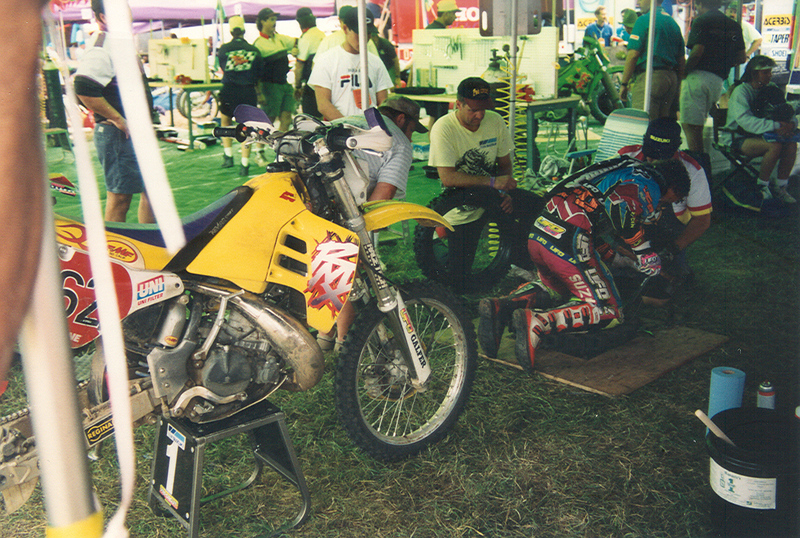 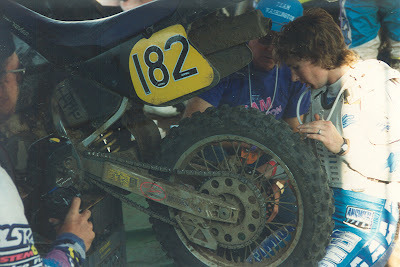 In 1994, the RAMS club was invited to help at the International Six-day Enduro in Tulsa, Oklahoma. 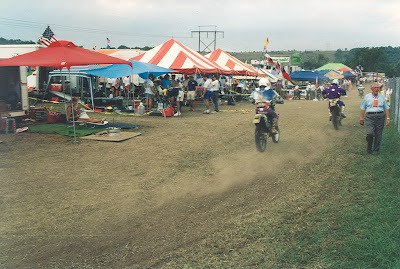 Jake Herzog, Bud Peck and I volunteered and were accepted by the Tulsa club, which was only the second international six-day event in history to be held in the USA. 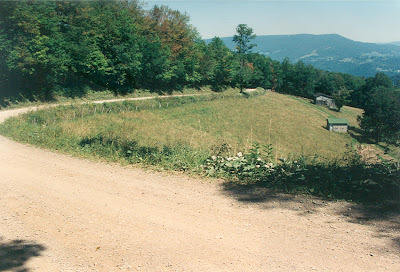 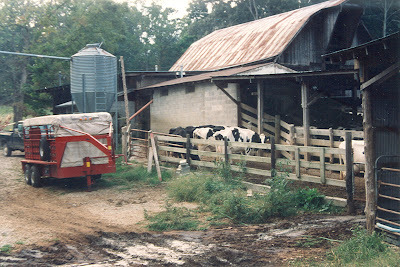 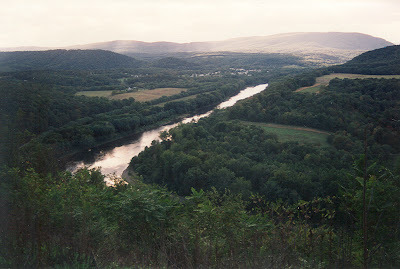 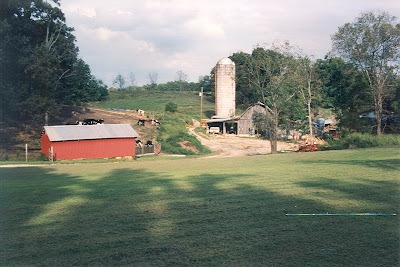 The first was in the Berkshires in 1973 when several of the RAMS worked the event there also. 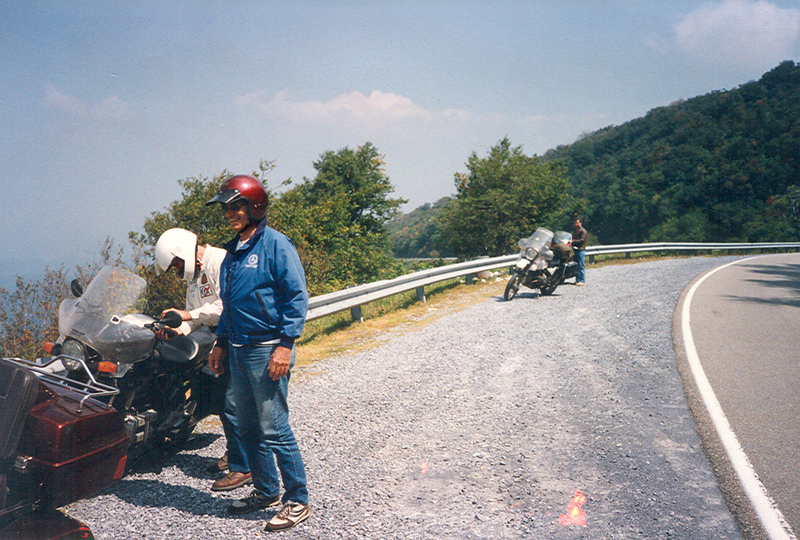 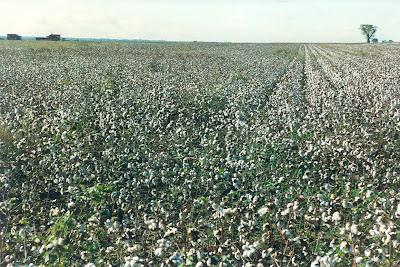 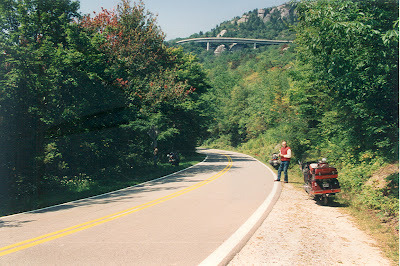 I laid out a course for getting to Tulsa and back, which was six days each way; hence I called our trip, “Six days to the 6-Day.” Dave dela Gorgendiere rode with us. 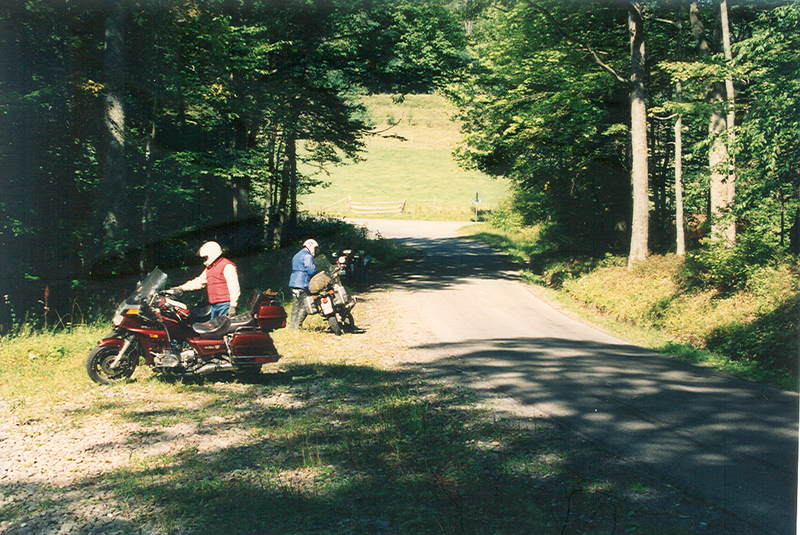 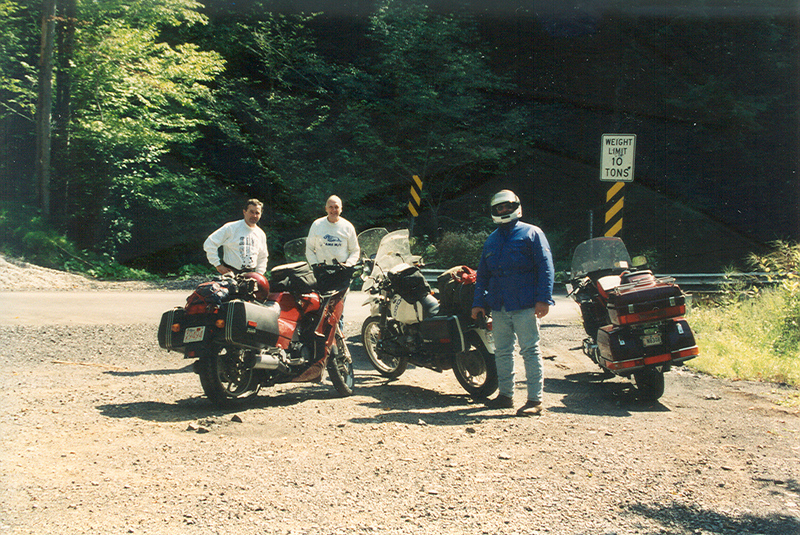 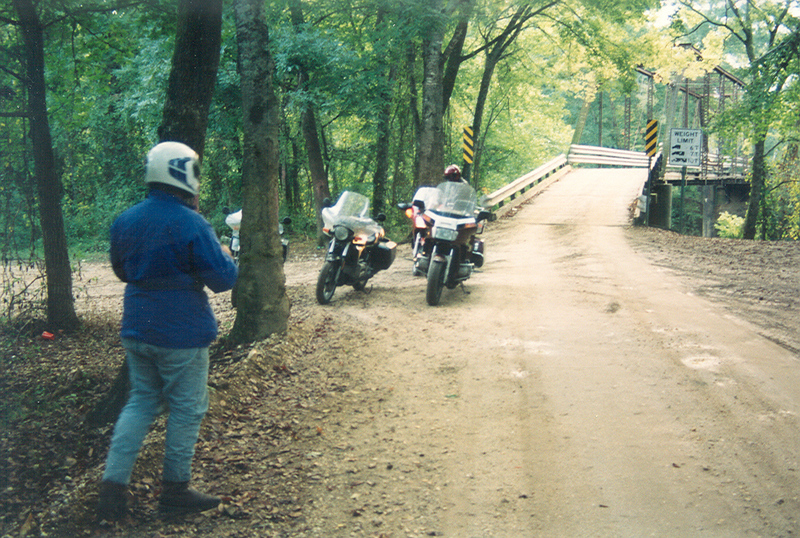 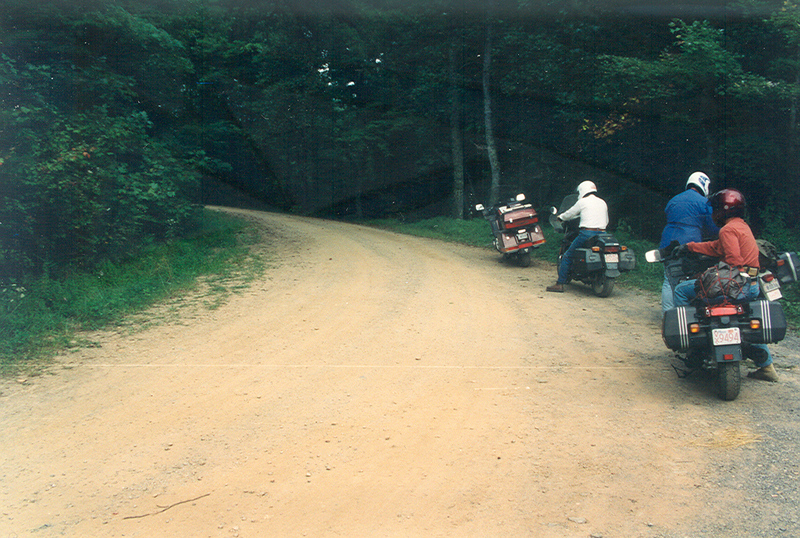 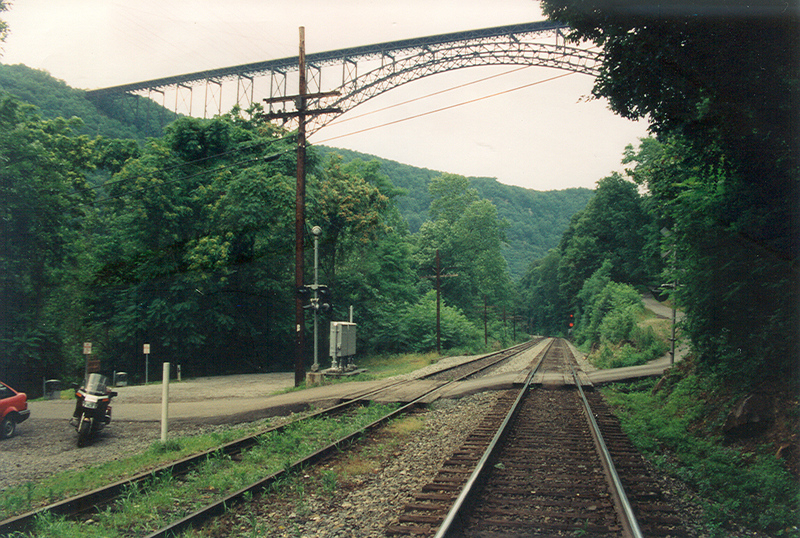 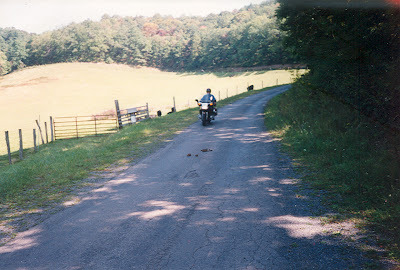 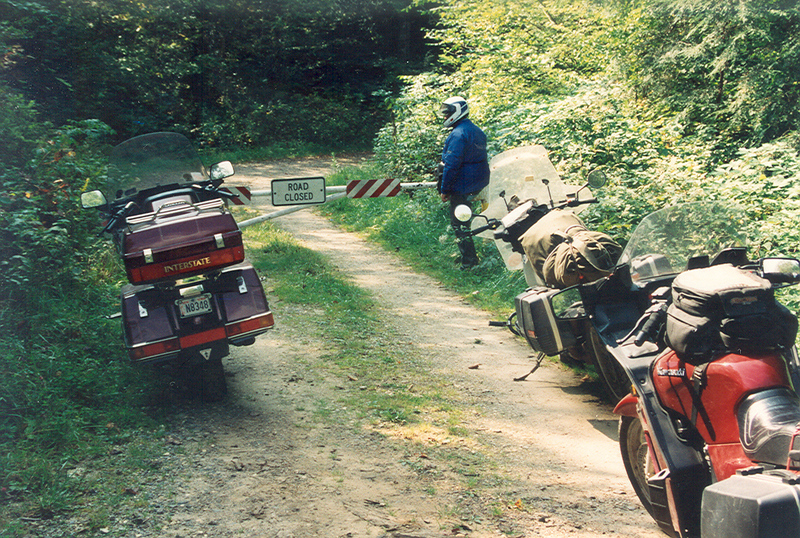 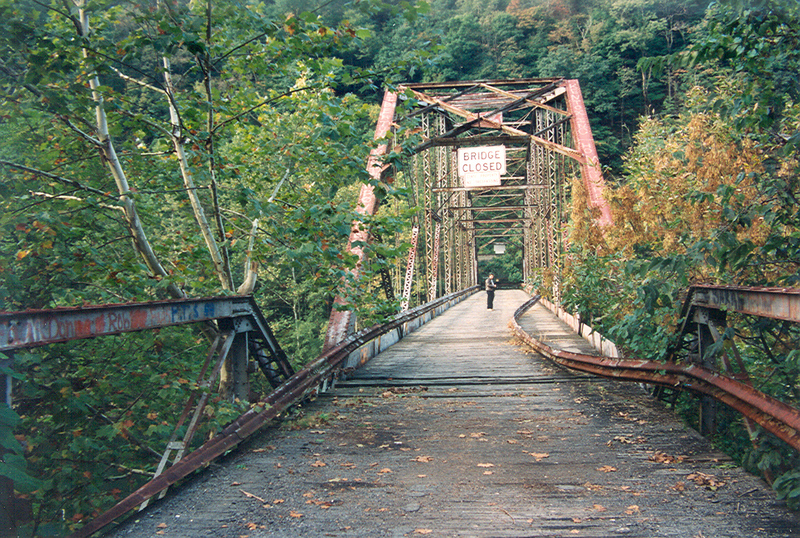 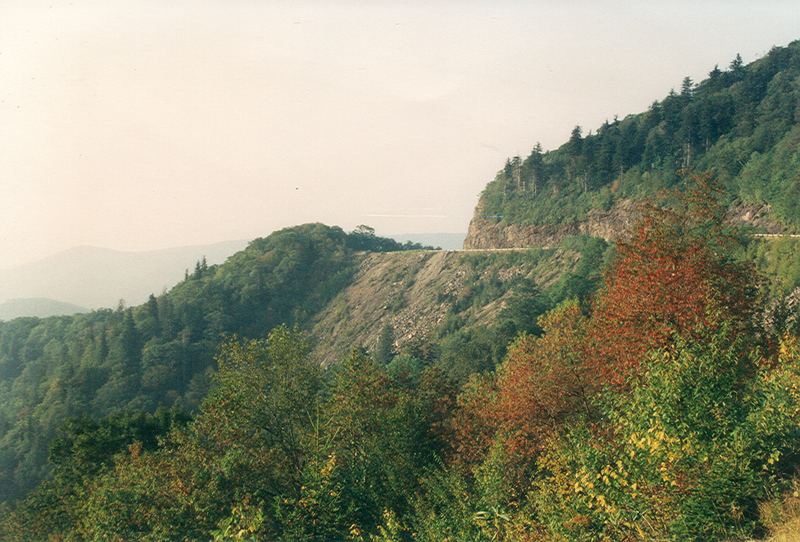 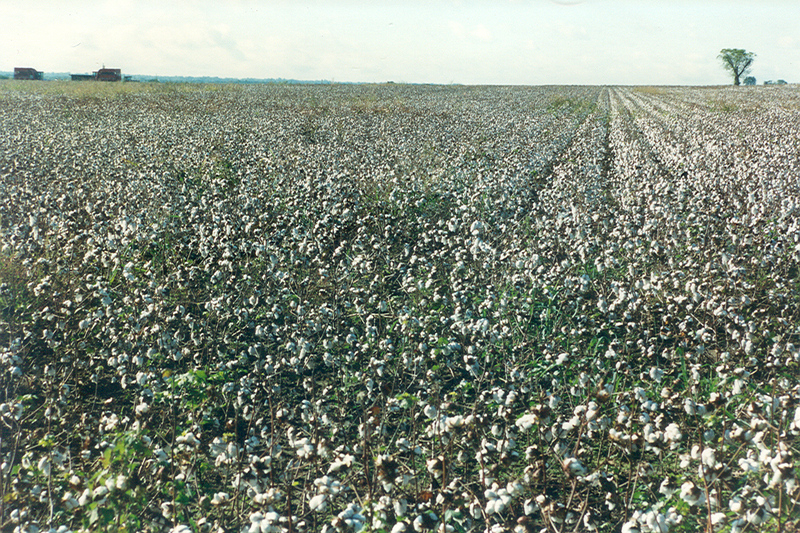 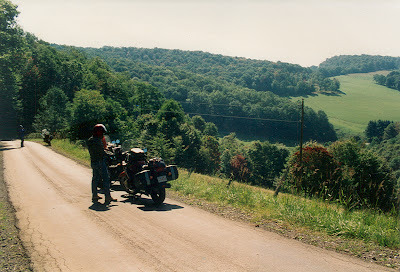 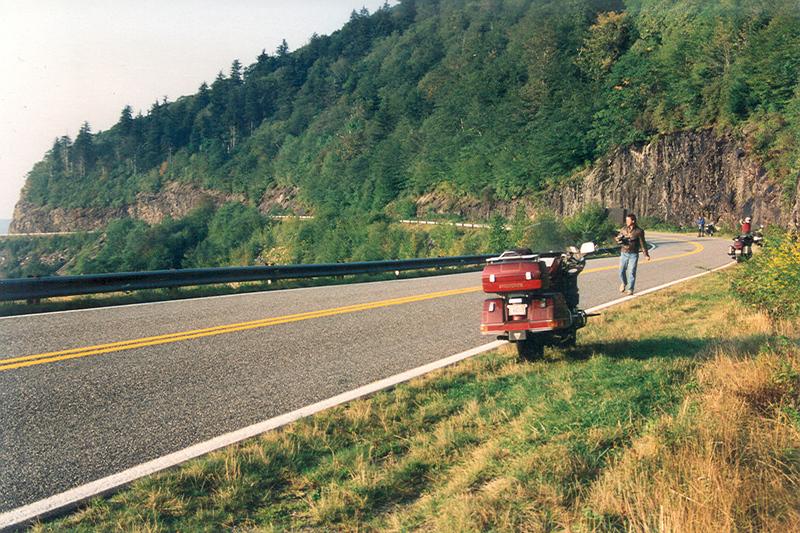 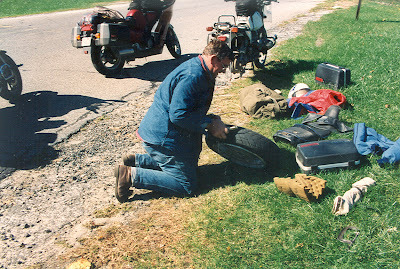 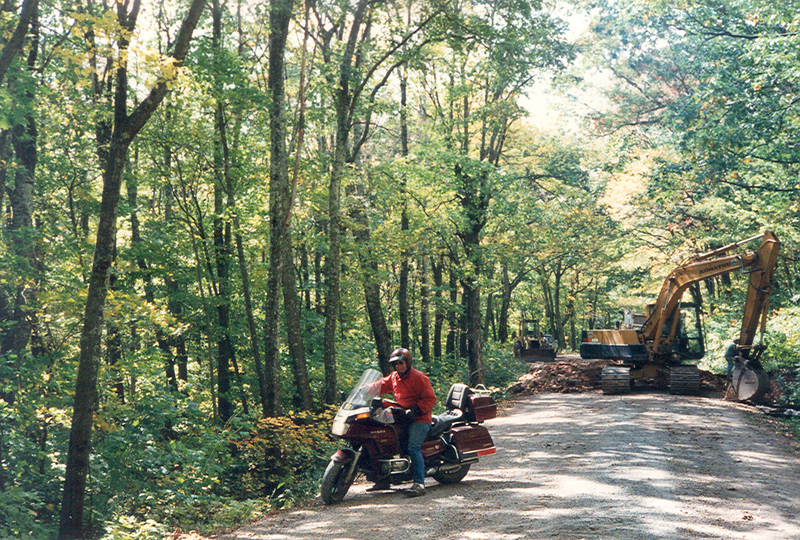 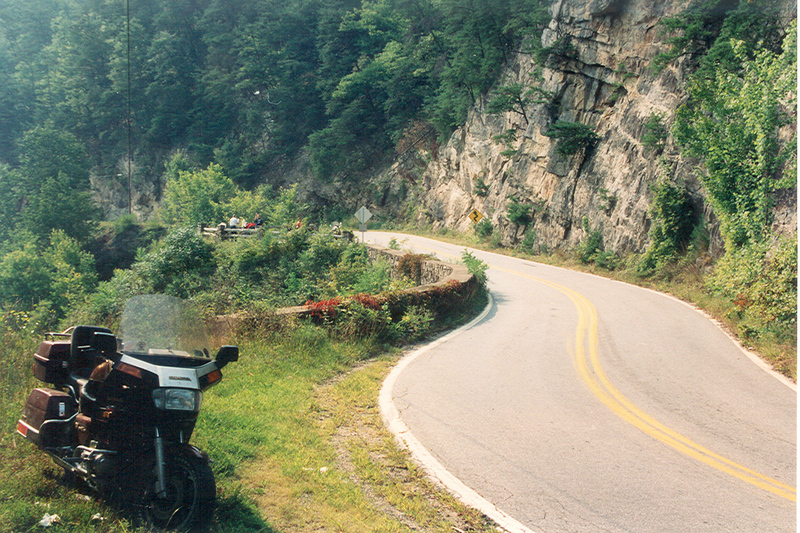 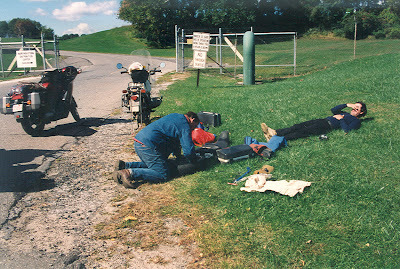 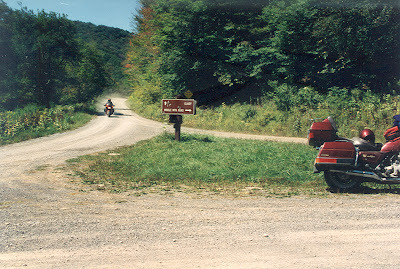 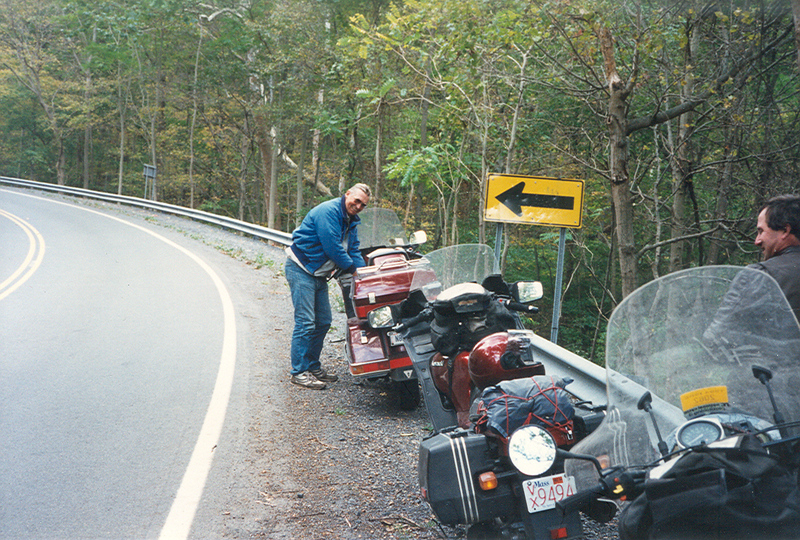 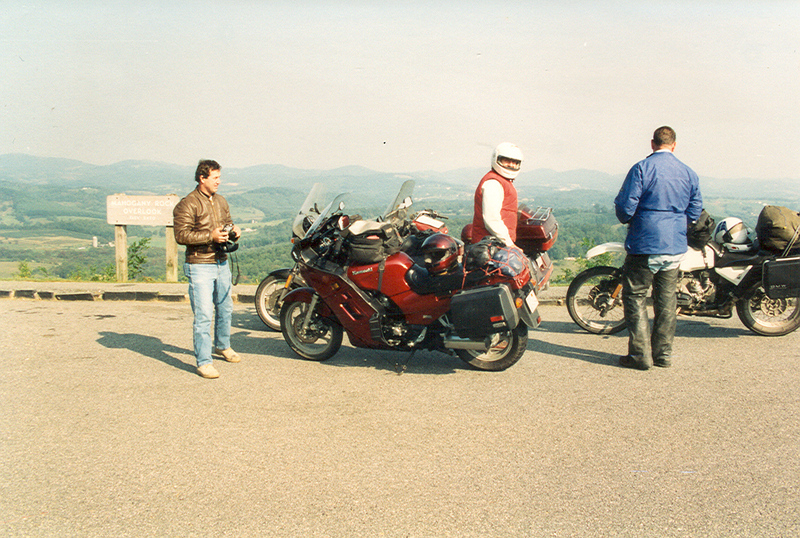 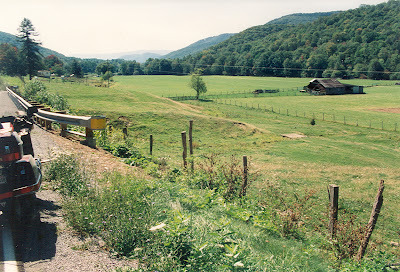 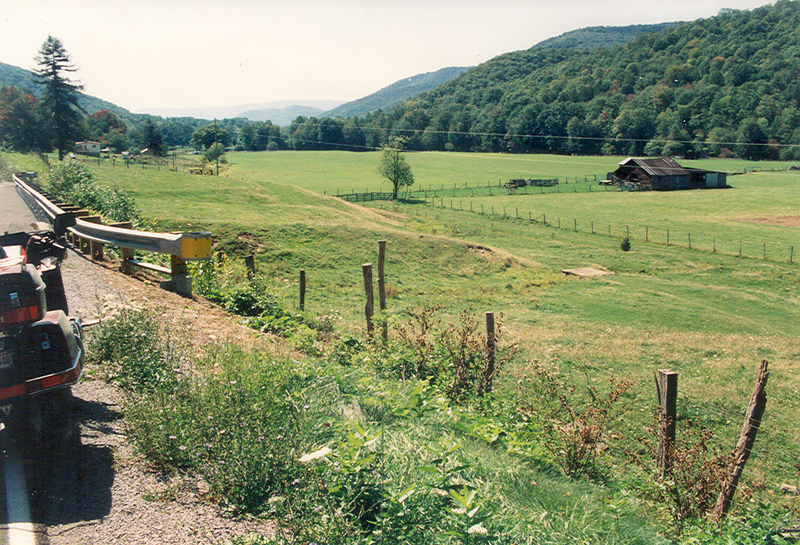 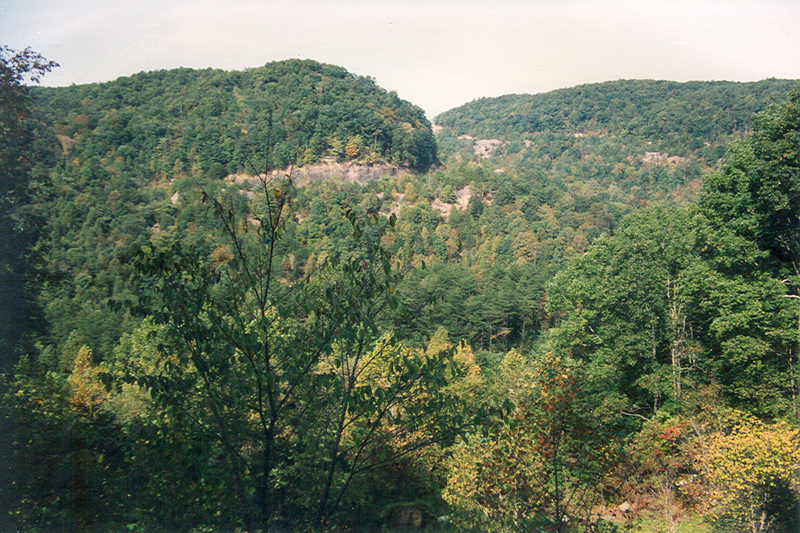 The photos below are from that trip, which was predominately two-lane road with a few gravel roads thrown in. 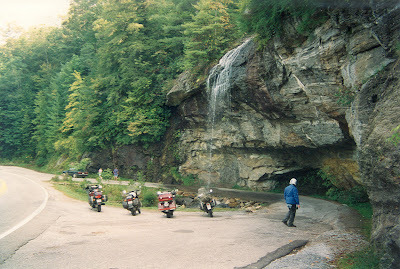 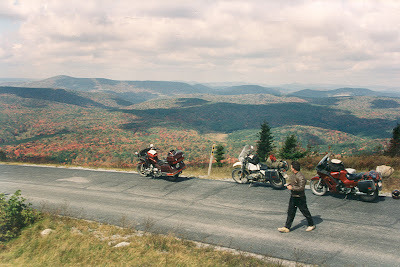 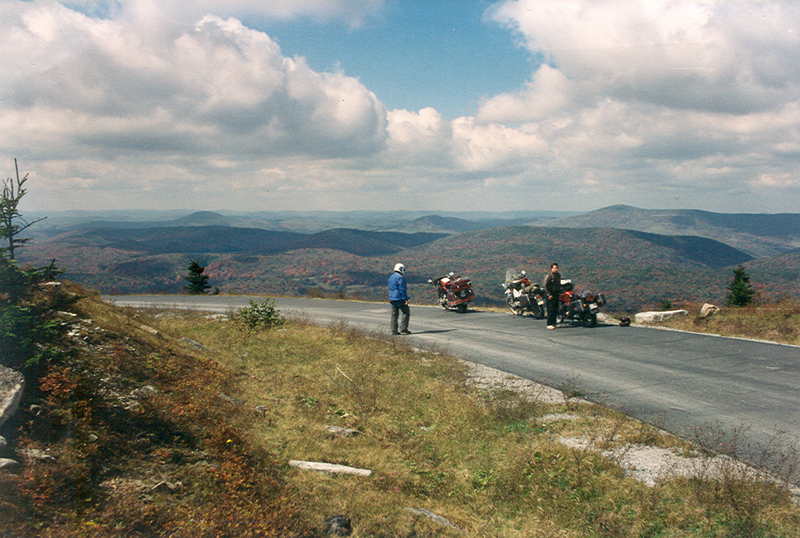 Jake rode his BMW R1000GS to the event; he rode the event with it as a course marshal and then rode it home. I worked as a pit marshal and Bud drove the bus that transported the riders from their lodgings to the competition area. The photos are from our 5,100-mile trip there and back, and a few were taken in the competition area. 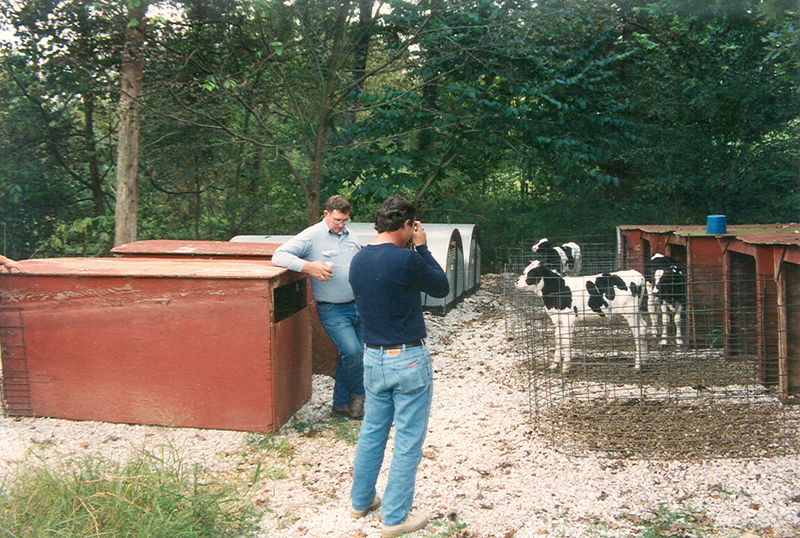 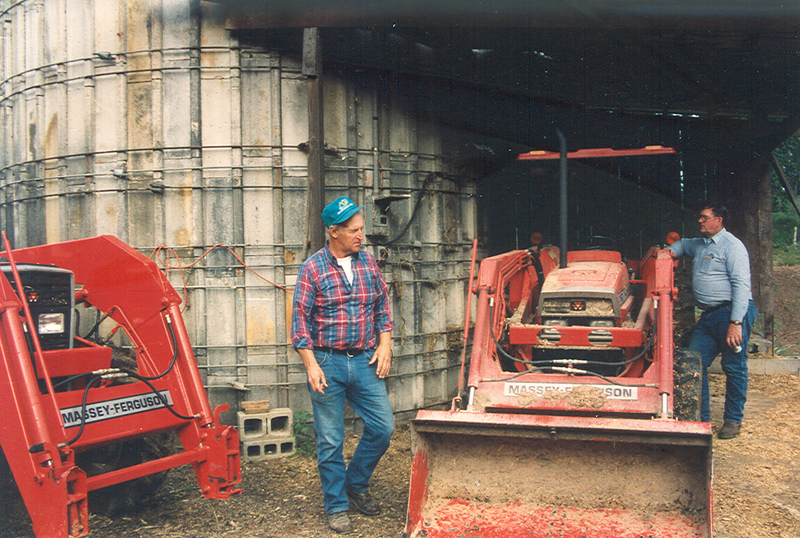 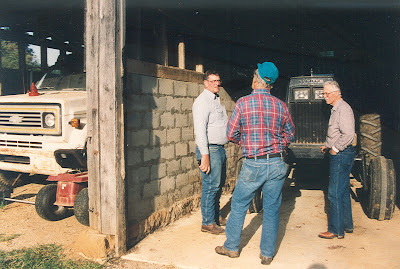 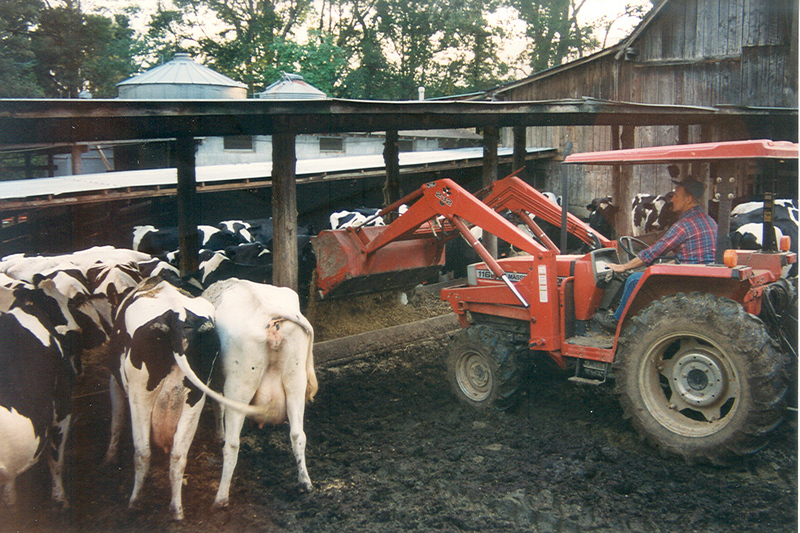 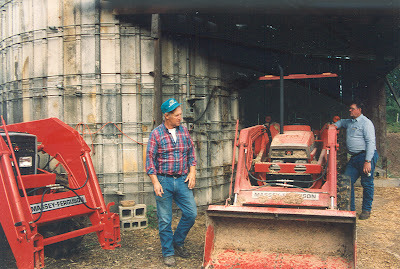 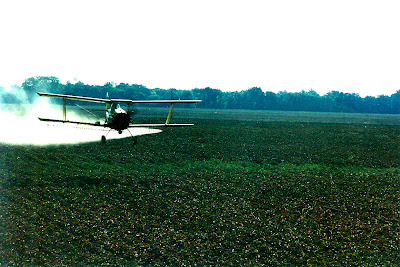 Bill Decker and Jake talk farming. 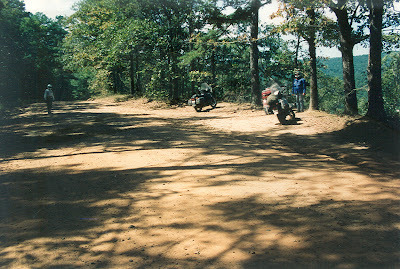 Bill won the overall High Point at the 500-Mile Championship Jack Pine Enduro in Michigan in 1965 on a 250cc Greeves. 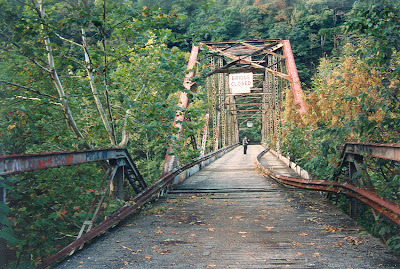 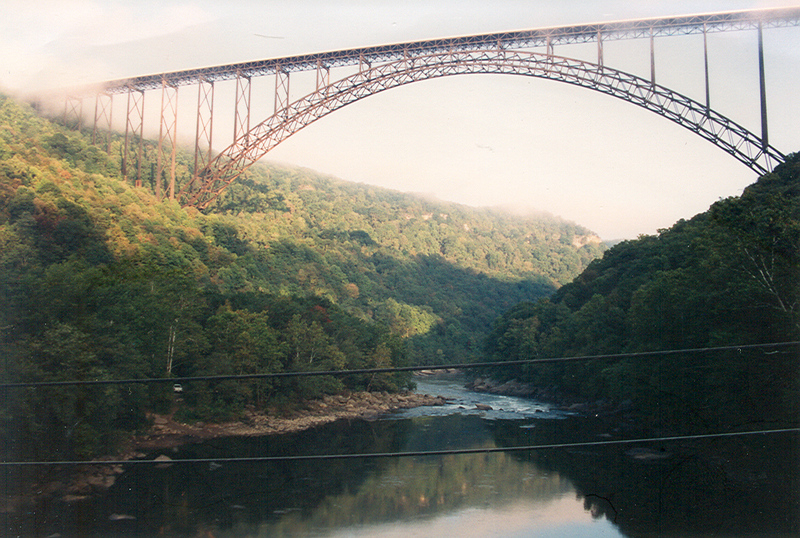 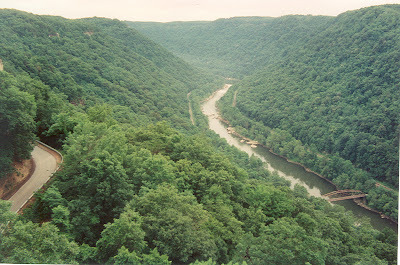 In the gorge below the bridge.